If you’re starting a wine collection, you need to know the Hows and Whys of cellaring. Here are the wine storage answers from the experts at Wine Selectors. Even when in a bottle, wine is living: constantly ageing, evolving and changing. Some wines are ‘drink now’ propositions, best enjoyed the year of their vintage, some need careful cellaring so their acids and tannins settle, while others develop beguiling secondary characters over years that accentuate their appeal and their value. So whether you’ve bought rare wine at auction, inherited a vertical of Grange, put a birth year down for a child or purchased it as a member of Wine Selectors, you’ll want to store it correctly to ensure you can enjoy all your delicious vinous offerings at their best. To do so, you need to observe the four golden rules for storing wine. Maintaining a constant cool temperature is paramount. Wine hates fluctuation on the Celsius scale, and in Australian households that happens way too often. Unlike Europe, most of our abodes aren’t insulated to great standards and we only tend to have the air-conditioning on when we’re home. But what about our cherished wines when we’re not there? Ideally, temperatures between 12-14ºC are needed to keep them content. Too much direct light can degrade your wine. Ultraviolet light, the same that gives your skin wrinkles from being in the sun, can not only heat wine, but also cause changes chemically. This is the reason why red wine, which usually gets better with age, is in darker bottles. So think of your wines as vinous vampires and keep them away from direct light. Wine hates change in humidity almost as much as it hates change in temperature. A level of about 50 per cent is preferred so corks don’t dry out and cause oxidisation. Constant movement, even small tremors, can disturb wine and disrupt its ageing process. Like sleeping babies, wine likes to be laid down and preferably not near a busy thoroughfare or under the stairs. With all that said, the most effective and economical way to store your wine is a wine cabinet. Of course, there is an initial cost, but with a huge range of styles, sizes and price points, there is a wine cabinet to fit every need and budget. And the benefits of having your wines stored in perfect conditions are well worth the investment. 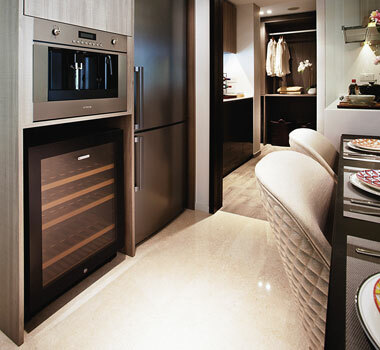 These days wine cabinets are as sleek and fashionable as they are functional. 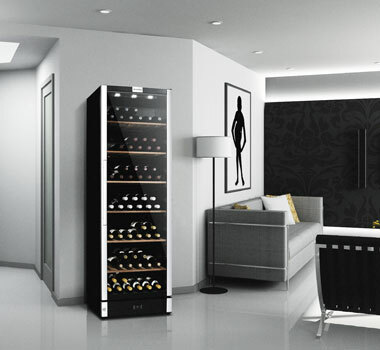 From an under bench cabinet for your kitchen, a taller capacity unit for home or business, or a walk-in model for a dedicated cellar, there is a wine cabinet that will fit seamlessly into your life, with capacities from 20 bottles to 4000 bottles. Harvey Norman are the trusted experts in wine storage. With a huge range of wine cabinets and friendly educated staff to help find the best model to suit your needs, you’ll have a burgeoning wine collection underway in no time. Vintec's new seamless range available in stainless steel or sleek black, features a wine cabinet perfect for every wine collector, no matter where they're at in their wine journey. Availalbe now from Harvey Norman. Visit in store or online at www.harveynorman.com.au/brands/vintec.